Dingo Persecution must end! Public perception has to change. Dingo numbers have been reduced due to extreme uncontrolled overuse of the deadly 1080 bait, and the colonial cultural persecution of Australia’s top order predator, the Dingo. <<But scientists say governments need to seriously consider reintroducing dingoes to the landscape in order to protect vulnerable native species. Dingoes cause hundreds of thousands of dollars damage each year to livestock and there have been huge efforts to cull them by laying poisonous baits and shooting them. But this has allowed feral species like cats and foxes to thrive and experts say the current approach is counter-productive. About 40% of the country’s native species are listed as threatened or close to extinction, thanks to the explosion in numbers of feral cats and foxes. Dr Tony Friend, the president of the Australian Mammal Society, says trying to control these animals is a losing battle. “We are getting reasonably good at controlling foxes in the local areas but cats are a huge problem, partly exacerbated by removing foxes, so once the foxes are taken out, cats do well and basically step into the feet of the foxes,” he said. Research is being conducted Australia-wide to see if bringing back dingoes will help control these pests. One recent study in South Australia’s north recorded a reduction in feral cat and fox numbers with the introduction of dingoes. Hannah Spronk from Arid Recovery, a conservation group based just outside Roxby Downs, is heading the research. “All seven of the foxes that we released into that pen there were killed within 17 days by the dingoes,” she said. 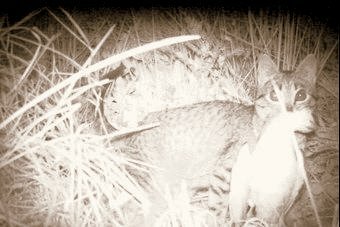 A night photo of a feral cat with a fairy prion in its mouth. Dr Menna Jones, from the University of Tasmania, is looking at reintroducing top order predators to rebalance specific ecosystems. As well as dingoes, she is finding out whether the Tasmanian devil could also control invasive species. “If we can put a large predator back into the ecosystem where it has become extinct, it can do the job of controlling feral cats or foxes 24 hours a day, seven days a week without the need for an ongoing management program that costs a lot of money and costs a lot of effort,” she said. International expert and wildlife ecologist Professor Roy Dennis says dingoes could be reintroduced in a controlled manner to limit the damage they cause to livestock. But he says first of all public perception has to change. 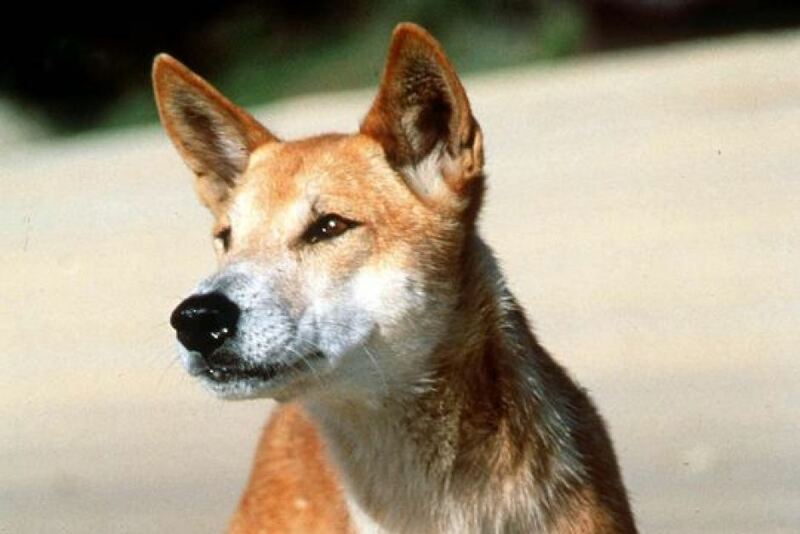 <<Dingoes don’t mix well with sheep and cattle but scientists believe there may be some benefit to keeping wild dogs around to control feral cats and foxes. The Invasive Animals Cooperative Research Centre is investigating the ecological role dingoes and free-ranging crossbreed dogs play in Australia, so they can be effectively managed. Peter Fleming, who leads CRC projects on managing wild dogs, says some people see them as under-utilised weapons against feral cats and foxes, also known as meso-predators. Others only see them as destructive pests that attack sheep and cattle. 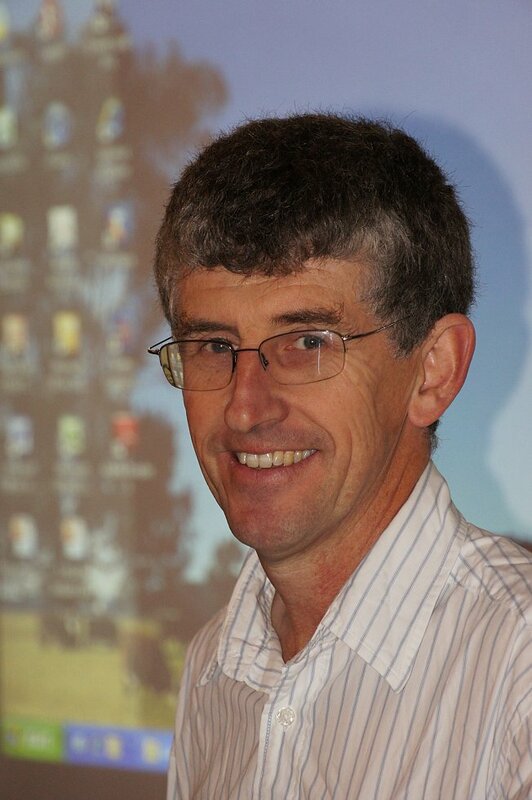 Dr Fleming, Principal Research Scientist in the Vertebrate Pest Research Unit of Biosecurity NSW, says it’s critically important to manage the negative impacts of free-ranging dogs using the most up-to-date scientific information. “Right now, pressure is being brought to bear on livestock producers in some areas to reduce lethal control of all free-ranging dogs because of potential environmental benefit of dingoes,” he said in a statement. He says PhD students are being sought to help with five-year research program to see if there are benefits of retaining free-ranging wild dogs to suppress foxes and feral cat impacts in some areas – while still controlling them for livestock protection. <<…How do we effectively manage dingoes and other free-ranging cross-breed dogs when we just don’t know the true ecological roles of these predators? Researchers with the Invasive Animals CRC, led by Ben Allen and Peter Fleming – Wild Dog theme leader for the Invasive Animals CRC – have just published a critical review of dingo research methodology in Biological Conservation. Their work identifies the need for long-term research on the ecological roles of dingoes and other free-ranging dogs. But in the interim, long-term research to 2017 is already underway. Based at Orange as principal research scientist in the Vertebrate Pest Research Unit of Biosecurity NSW, Dr Fleming said that depending on what they are eating at the time, free-ranging dogs are viewed differently by different stakeholders. “For some, they are destructive pests attacking sheep and cattle. For others, dingoes are seen as an ‘under-utilised weapon’ against feral cats and foxes (collectively referred to as meso-predators),” he said. Dr Fleming said there was much uncertainty about potential ‘meso-predator’ suppression by dingoes and wild dogs. “It’s critically important that we manage the negative impacts of free-ranging dogs using the most up-to-date scientific information,” he said. “Right now, pressure is being brought to bear on livestock producers in some areas to reduce lethal control of all free-ranging dogs, because of potential environmental benefit of dingoes. “However, our review shows we are unsure what the ecological roles are. The new research may yet demonstrate there are ecosystem services and net benefits of retaining free-ranging wild dogs to suppress foxes and feral cat impacts in some areas, but they will still need to be controlled for livestock protection,” Dr Fleming said. To get to the bottom of the dingo mystery and to determine the ecological roles of free-ranging wild dogs in the many different ecosystems that make up Australia, the Invasive Animals CRC and its partners Meat & Livestock Australia and Australian Wool Innovation and have embarked on a five-year research program to enhance the nation’s ability to manage all their impacts. A statement issued by the Invasive Animals CRC said this information was critical to manage this unique and charismatic predator in Australia – the dingo, while mitigating livestock losses. Based at the University of New England and Biosecurity NSW, the research program will centre on north-eastern New South Wales and south-eastern Queensland, a biodiversity hotspot where livestock producers continue to suffer predation problems. The UNE is currently receiving applications until February 15 for research PhDs to support the wild dog research team. Substantial Invasive Animals CRC resources are being devoted to the research, with up to eight PhD projects about native and introduced predators, their interactions with their prey, the plants the prey eats and the social and economic context of wild dog impacts. “In five years’ time we will have a sound understanding of the relationships between the predators, prey, plants and people in the highly-productive north-east of NSW,” Dr Fleming said. This entry was posted on Friday, February 8th, 2013	and is filed under Dingoes, Threats from Ferals and Predators, Threats from Poaching and Poisoning. I agree with Professor Roy Dennis that the reintroduction of the dingo into Australia’s mainland and its long term protection depends on the public themselves wanting this to happen. So it is welcoming news that more scientists are now working towards changing public and governments’ misunderstanding of the importance of the dingo to the conservation of Australia’s mainland terrestrial biodiversity. But the ecological importance of the dingo needs to be presented within the bigger picture of the importance of the conservation of biodiversity to ensuring the long term functioning of our life supporting natural ecosystems services, their economic value and the hundreds of thousands of dollars gained in the improvement of livestock pastures and the gains from the abandoning of the current dingo control processes which lead to its extermination. The gain to farmers from ending the eradication of Wedge- tailed Eagles was used to achieve the eagle’s protection in the second half of last century. I fully support the reintoduction of dingoes on Australia’s mainland and the eradication of foxes and cats, but what concerns me is the cruelty inherent to the experiment in which foxes and cats are released into a finite pen containing dingoes. If the pen containing dingoes is closed the experiment is not only cruel, but also it hardly represents what happens in an open habitat. I started a project that is international to raise awareness about the plight of the australian dingoes and the use of 1080 poison. 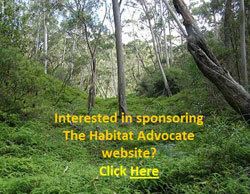 please take a moment to visit our website. as well as here is a recent press release. please do not confuse me with the brilliant aus. wildlife photographer and dingo advocate jennifer parkhurst. altho i am a huge admirer and we are friends. In 1955 Monsanto transferred production of Sodium Fluoracetate to Tull Chemical Co. of Oxford, Alabama. One teaspoon of the poison (known as 1080) can kill up to 100 adults. At least 16 fatalities have been reported. It is banned in every major country except Australia and New Zealand. 1080 poisoned baits kill indiscriminately.. In Australia pure dingoes are not protected. Canis Lupis Dingo are a sacred totem to the Aboriginal Peoples and Australia*&aposs* Apex Predator. Australian law requires park rangers and farmers to shoot, trap or poison wild dogs and Dingoes. These toxic carcasses are consumed by other wildlife such as eagles, cats, snakes and crocodiles, who then die. As animals rot across the landscape, the poison leaches into the ground and water, contaminating and destroying the environment. The Ochre Project is a movement dedicated to stopping the murder of Dingos and other helpless wildlife and the banning of the manufacture and all use of 1080. Ochre was started 6 months ago by Jennifer Britton Parkhurst who rescued an American Dingo named Fred and lives in New York City. “In researching the breed, I discovered the carnage and agony these animals go through in Australia. “If change is not immediate, this essential and beautiful species will be extinct in 20 years and the ecosystem will be permanently damaged.” she said. “I am also shocked that 1080 is so lethal and that very little information is available on how it is made and monitored. What if it fell into terrorist hands? Even the Nazis banned its use. It is an agonizing prolonged death.” she continued. theochreproject.com group has almost 2,000 members worldwide and is shunned by most major media in Australia. Coverage of the dingoes is also censored. theochreproject.com is an International collaborative artistic effort to give voice to all Australian dingoes. People participate by submitting photos with the tag phrase ‘I wear ochre because…’ The dingoes are not protected and will be extinct in 20 years. They are a totem of the Aboriginals. Our aim is to preserve this magnificent species and ban the use of 1080 poison. The Ochre Project is using many platforms to reach this end. Finally, some sensible talk about the plight of the dingo, and about the need to protect it from being slaughtered into extinction. It is common knowledge that maintaining top predators makes ecological sense. This has been proved with the reintroduction of wolves into the Yellowstone National Park in the US. I agree that changing the general populace’s opinion about dingoes is extremely important, and is as important as making it illegal to kill these much maligned animals.